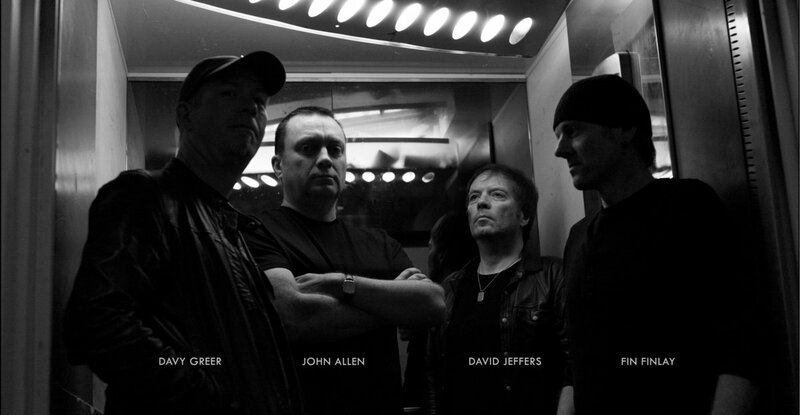 Baleful Creed are a four piece Heavy Rock influenced band from Belfast. Featuring a dual guitar team that lay down head-nodding chunky riffs that touch on the Stoner Rock sounds of Black Sabbath, Danzig and Fireball Ministry topped off with soulful melodic vocals that are fuelled by the stomp of a powerful bass and drum rhythm section. Their music is spreading rapidly through the dedicated rock radio stations, such as Hard Rock Hell Radio, The Rock Asylum (USA), Metal Nation Radio (USA), The Moshpit on Dublin City FM, ARFM (London), and many internet rock stations like Rock Radio NI, AiiRadio, Rockers Dive and the 365 Radio Network. The band have featured twice in live interviews/acoustic sessions on Belfast’s Blast FM 106.4 and have been played and featured in an interview on BBC Radio Ulster’s Across The Line and are a big favourite on The John Kearns Rock Show on Belfast’s CityBeat. Their debut album was released digitally on 1 September 2013. A CD release was delayed but was finally available on 29 December 2013 – their first proper physical issue of their music. The album is a remixed and remastered edition of their last two EP’s, which were not available on CD – and thanks to fan demand we have it in our hands now! Previously then the third EP, simply titled III – was released on digital formats on Halloween Night 2012. Buried Beneath, the 2nd EP was officially released on 28 January 2012 in Ma Nelson’s Rock Bar, Belfast. The debut EP, called Killing Time, was released earlier in 2011. The band have also played support to Bill Steer’s (Carcass/Napalm Death) blues rock band ‘Firebird’, British Classic Rockers ‘The Brew’ and American Doom Rockers ‘Jex Thoth’. gaining rave reviews from their live shows. They featured as finalists in Highway To Hell 4 in Glasgow, Scotland – marking their debut gig outside of Northern Ireland / Ireland. Their biggest gig to date was as support to America’s finest Ronnie James Dio tribute band Rising in the Mandela Hall, Belfast on 28 March 2014. Baleful Creed became the first band ever to reach two TBFM Factor Finals, coming 3rd in the TBFM Factor 2012 competition, which had an entry of 288 bands, and 7th in the 2014 version out of 367 international bands.